Customers of DIRECTV are in luck today, as the official Android application for the service has been updated and brings along a pretty nice live streaming feature. 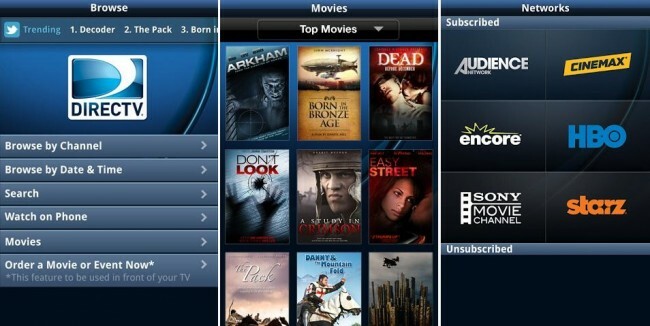 No matter where you go, you can now take your favorite shows with you and that even includes your favorite movies. As well as being able to stream sweet content, you can also see what shows people are buzzing about, which means no more feeling left out when everyone at the office is chirping away about some reality show you never knew existed. Sweet, right? Now DIRECTV goes anywhere you go. Get instant access to hit entertainment from HBO®, Cinemax®, Starz®, and Encore®, plus the latest DIRECTV CINEMA movies and more, whenever and wherever you want-at home or on the go. Go to the “Watch on Phone” tab located on your home screen and select “Movies”, “TV Shows” or “Networks” to start watching now. Being a Comcast subscriber myself, I can’t personally test the application out. Let us know how it goes for you down below. Cheers Gongadin, Dave, and Richard!